In the middle of my first year, the university started getting smart about implementing room booking, making it practically impossible squat in the rooms. Thankfully, I am out of school now, so my occupy movement days are behind me. As for today's review, I pondered if this soundbar and subwoofer set would be a good set for a desktop setup. From the physical construction, the Creative Stage lived up to its expectations with a solid build. Its front display is sufficient in providing information while having a good set of buttons on the side. The input selection is also reasonably generous, including options like HDMI, USB drive, and Bluetooth for a multitude of connections or situations. The inclusion of a remote, especially one with media controls, is another plus. I also like the wall mounting capability as it increases the places where the soundbar can be placed. When it comes to sound quality, the Creative Stage provides users with a fun V-shaped signature and a decent amount of bass in the subwoofer, while also offering some good soundstaging characteristics. It also is capable of getting plenty loud. On the other hand, it also has characteristics that keep it in the budget region. The Creative Stage can be overwhelmed in complicated music, losing out in definition and cleanness. It also has some missing portions in the lower midrange and upper bass regions. In addition to the sound quality, there are some other physical things I would like to see fixed. For one, Creative should increase the length of every single cable, whether they are attached or not, because they all seem a tad short. Secondly, they should tone down the aggressiveness of the standby detection, as it can happen while music or videos are playing. For an $80 USD price tag, this combination set provides users with an audio solution that can fill a room with sound and offer a good feature set, making it a possible option for your desktop setup. Creative provided this product to APH Networks for the purpose of evaluation. 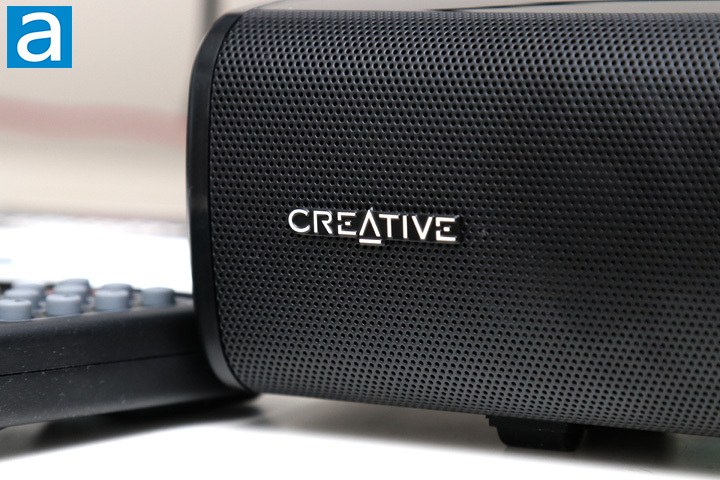 The Creative Stage is a convenient budget 2.1 option with notable features, many inputs, and acceptable sound quality, but the power management bugs needs to be ironed out. Do you have any comments or questions about the Creative Stage? Drop by our Forums. Registration is free, and it only takes a minute! posted 3 hours and 15 minutes ago, with 1 posts. posted 3 hours and 16 minutes ago, with 2 posts. posted 3 hours and 16 minutes ago, with 8 posts. posted 3 hours and 17 minutes ago, with 7 posts. posted 3 hours and 21 minutes ago, with 59 posts. posted 3 hours and 21 minutes ago, with 14 posts.